Following your dream means you are taking a chance, and everyone knows when you take a chance you can win or lose. But what happens if you never try? 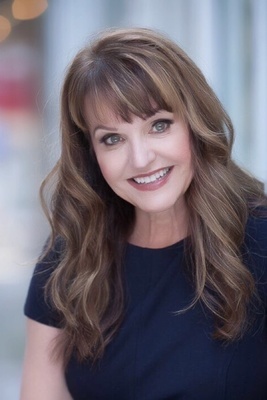 Bonnie Milletto, Empowerment Speaker and Author will share her chasing the dream journey and how we can learn to enjoy the process with clarity, conviction and confidence. Join us for this uplifting, engaging and interactive opportunity to connect to your dream and go after it with everything you’ve got! Bonnie pours her heart into her career and those she comes in contact with. She has a way of connecting with others on a personal level as she strives to help reframe minds and perspectives. She brings positivity, joy and purpose into seemingly ordinary situations. Her middle name is empowerment! Author of Been There, From Stuck To Unstoppable, and Founder of the celebrated annual Amazing You Women’s Conference Bonnie is a top media source on women’s issues, personal growth, youth challenges and living an empowered life. "I enjoy the Women in Business events so much. It's great to take time to be with other ladies and learn from each other. My table at the last event was the "IT" place to sit. My ladies were incredible and Andrea's leadership class was amazing!!"